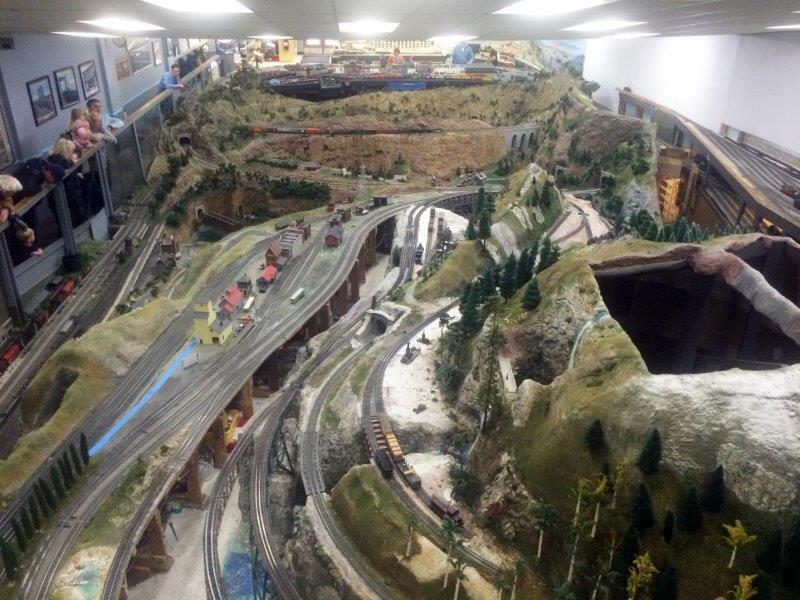 Welcome to the Detroit Model Railroad Club website! 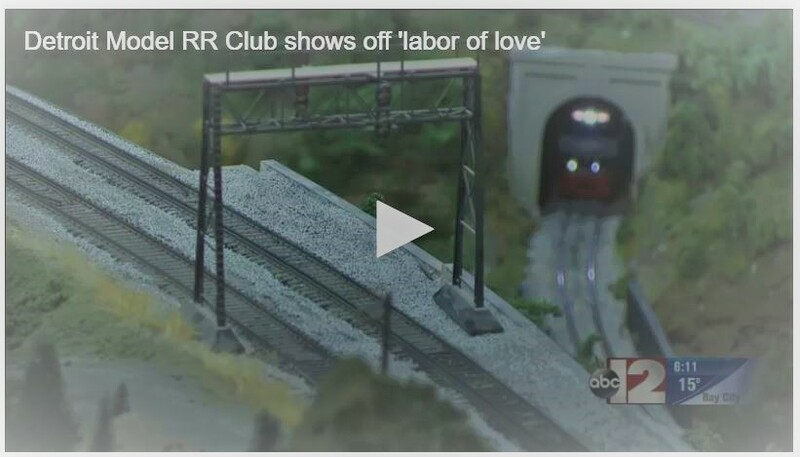 BREAKING NEWS: The club was on the channel 12 news in this interview. 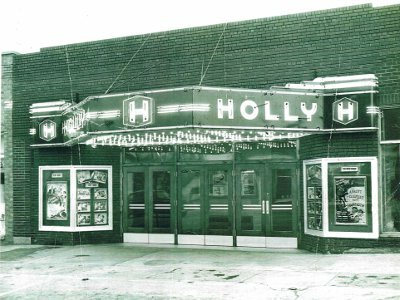 The club was established in 1935 and is currently located in the old theater in historic downtown Holly, Michigan. 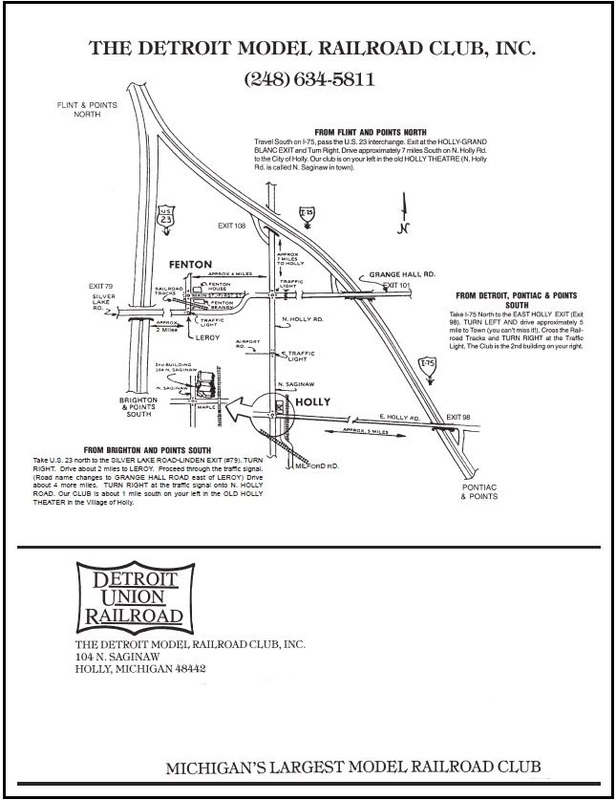 The club’s O scale layout depicts the fictitious Detroit Union Railroad, a freelance double-track line running from Detroit to Dorrance, Michigan, with continuing single track and branchline service to Keatington, Millersburg, and beyond. Narrow-gage tracks interchange at Millersburg and serve customers up in the mountain region. Tuesday is work day at the club. 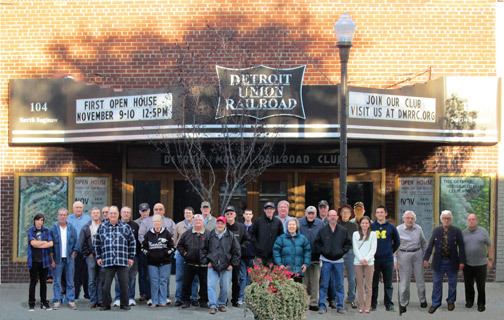 Members typically start as early as 10AM. We work on the layout, we stroll to one of several great places in Holly for lunch, then we continue until suppertime when we take another break. After supper, other members have arrived, and some can still be found there early Wednesday morning. April to October is our heavy work season when the club can be full of sawdust and wet plaster. 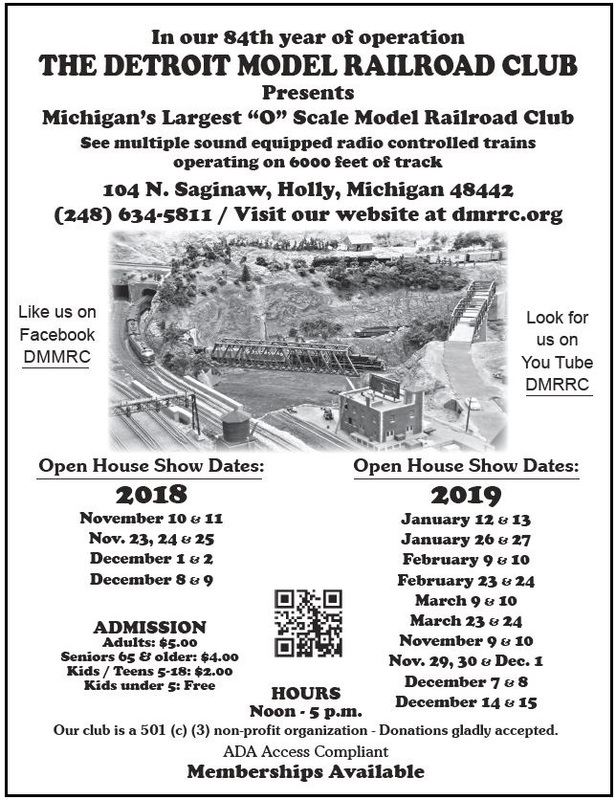 Our open house season now extends thru the summer (one weekend in June, July and Aug), so work continues, but with a focus on keeping the railroad operations-ready. Visitors and new members are always welcome on Tuesdays. Group Tours are also welcome, just contact us to set up a date or come to our open house dates. 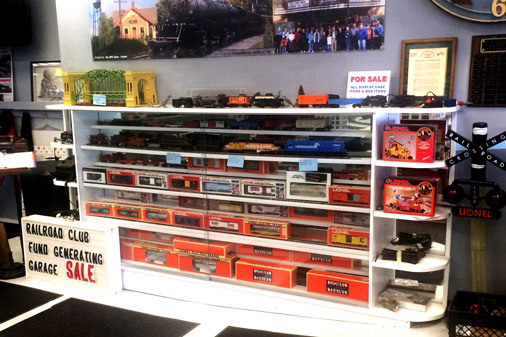 GARAGE SALE: Donation items (all scales HO, LIONEL, G scale and some scenery items) are sold at the club at reasonable prices. You can view them on Open House dates, and our Tuesday work sessions.